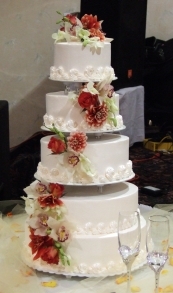 The Wedding Center are committed to providing the best in customer service. We offer professional and friendly assistance to our customers for whatever they may need. That is why we are proud of our continued success in satisfying one customer after the other. Don't just take our word for it. Just be sure to read through our customer testimonials and compliments in Yelp, and you'll see why we are the best in the business. The Wedding Center Owner's, Vicky and Tuan are both wonderful! I initially went there to ensure they could order tux's for my out of state children who were flying in for our wedding. I learned that they not only were able to get everyone's tux's, but could also hem my wedding dress. The local men went for their measurements and it was fast and easy. When they went for their fittings it was fast and easy. Vicky is very personable and has a great sense of humor. I met Tuan when we went in for final fittings and to pick up my hemmed dress. Both of them are great! I also needed to have a bridesmaid dress dry cleaned and Tuan recommended a great dry-cleaner and the dress turned out perfect. Since I didn't know the area, he drew me a map and explained how to get there. They also make wedding cakes and even though I didn't get to taste it, it was baking while we were in there and it smelled wonderful!! They sell wedding and bridesmaid dresses, both new and gently used... I think the value and service is outstanding. Great customer service you would expect in a small community and I would definitely recommend using the Wedding Center to any of my friends getting married. These owners are amazing! My fiancé and I brought in an image of a cake we loved, and they were able to replicate it down to every detail. 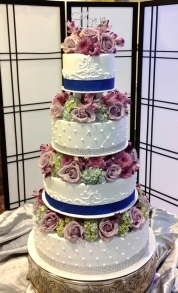 We received many compliments on our wedding cake! The cake was very moist and delicious! They are very affordable! Very happy with The Wedding Center. Welcome to the Wedding Center. This site is under construction therefore please come back for more information about our business.